So here we are again, its been and gone, and what can I say. Wow, what a huge success that was, but what a catalogue of weather and emotions it was. From wind and rain to beautiful sunshine and dust, but I wouldn`t change it for the world. Just to be a small part of it was a honour. The day started as it usually does at these events wet and lively, but this never deters the drivers from coming out to once again took to the hallowed concrete of the Norfolk Arena and showed their skills to all who gave their time to watch. The days events took shape in the form a usual practice day but later it would turn into the Kings Of Lynn Drift Battle. 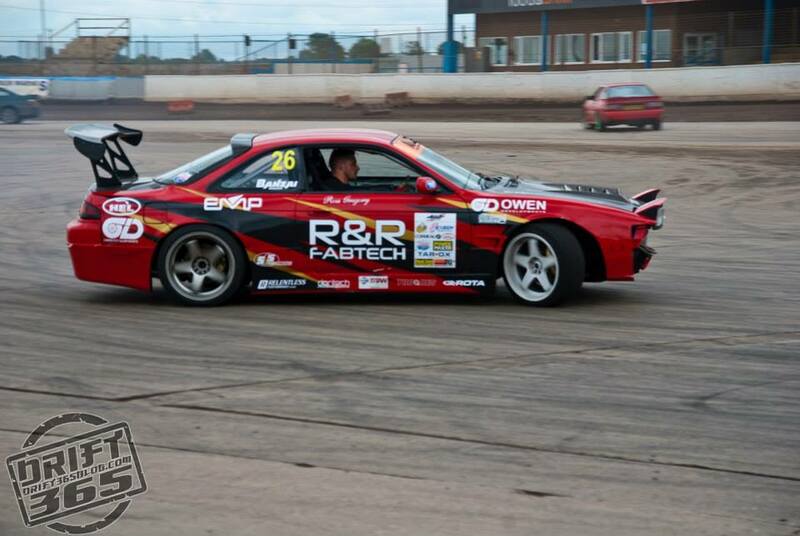 The pro drifters were invited to compete in three formats from the 4nations, the retro drifters and the great8 battles. Steven Donnelly, our northern cousin never fails to impress. Always giving his time and never ever misses a beat. A true gentleman. The night continued along nicely with the elimination heats of the great8 until the final loomed. The main treason for this years event was as normal to raise funds for our chosen charity. This year was The Guide Dogs for the Blind Kings Lynn Branch and I can happily say that the total is in and it raised a whopping £2709. As Malcolm Fozzy Foskett would say its all about the family of Norfolk Arena that makes this all possible and I whole heartedly agree. Without the pro drivers, grassroot drivers, the passengers, the spectators and all who attended and put their hands in their pockets this would have never happened. 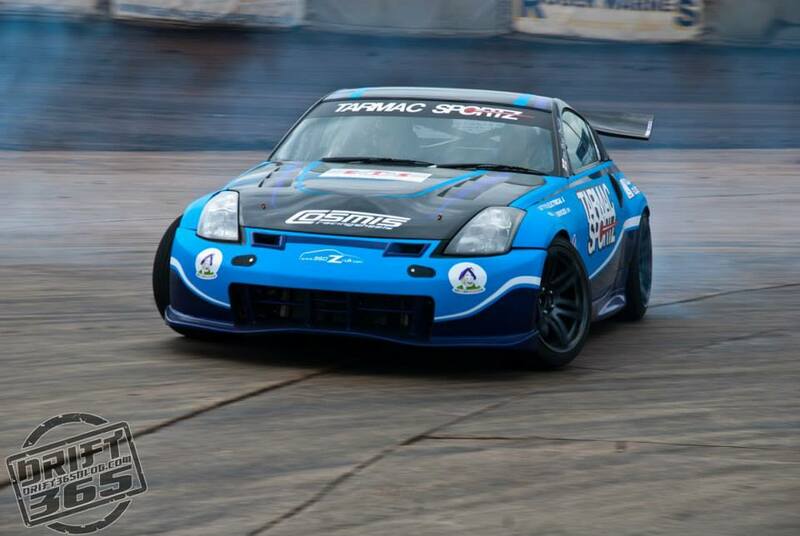 Ian Bizz Phillips, one of the pro drivers in his brand new 350z powered by a chevy v8. 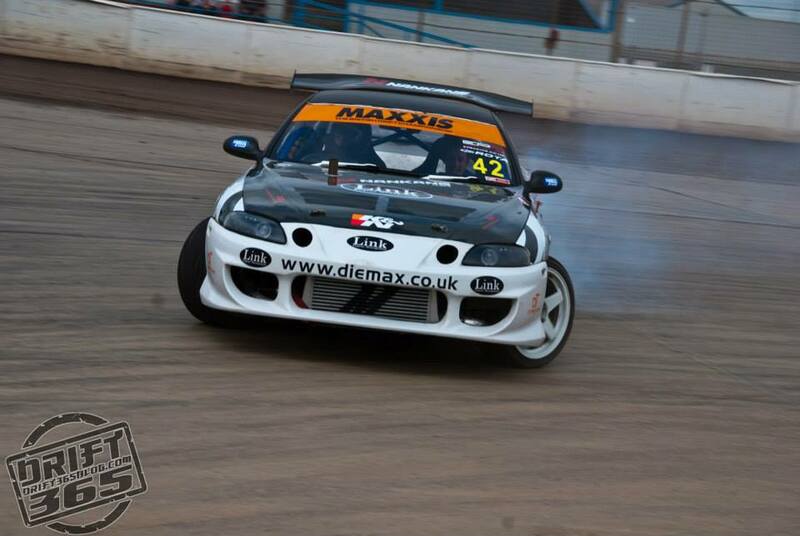 This car had very little run in time but the skill set of Ian proved that was a little problem. 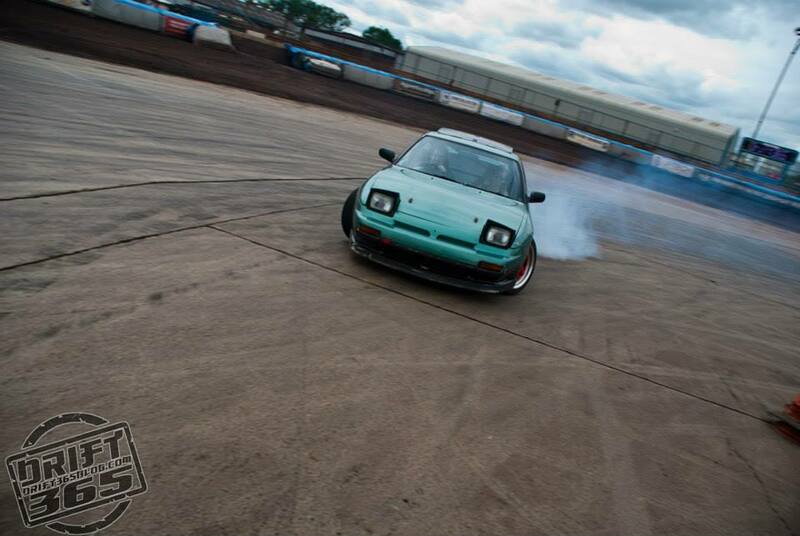 Ross Gregory in his own custom built Nissan proved to be a fan favourite. 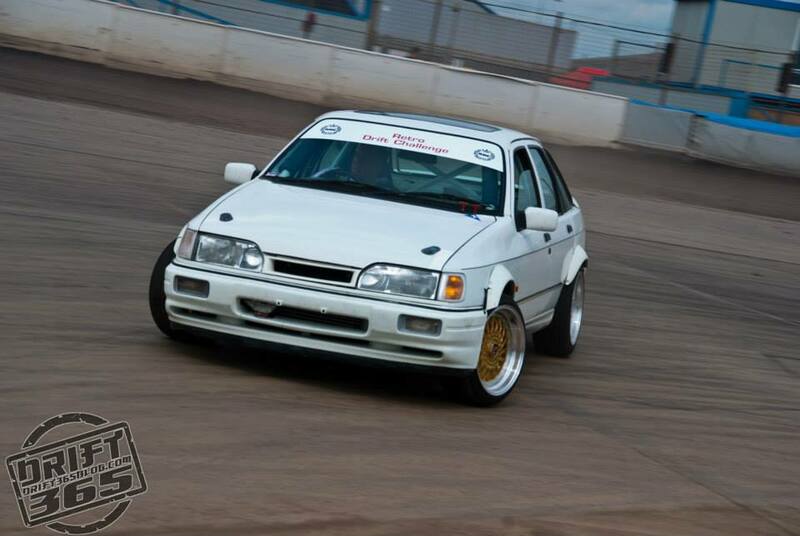 Gary Hughes in his retro Ford Sierra showing that you don`t need to drive Jap to go sideways. The event went without a hitch and all thanks go to the staff of the NADT that always carry the load of what proved to be the best yet. On another note, the local BBC radio station interviewed Malcolm Foskett and Matt Hitchcock for a motorsport program, that can be listened again here for the next seven days. NADT on Tour, Outcast Elite & Racequip do Swaffham.